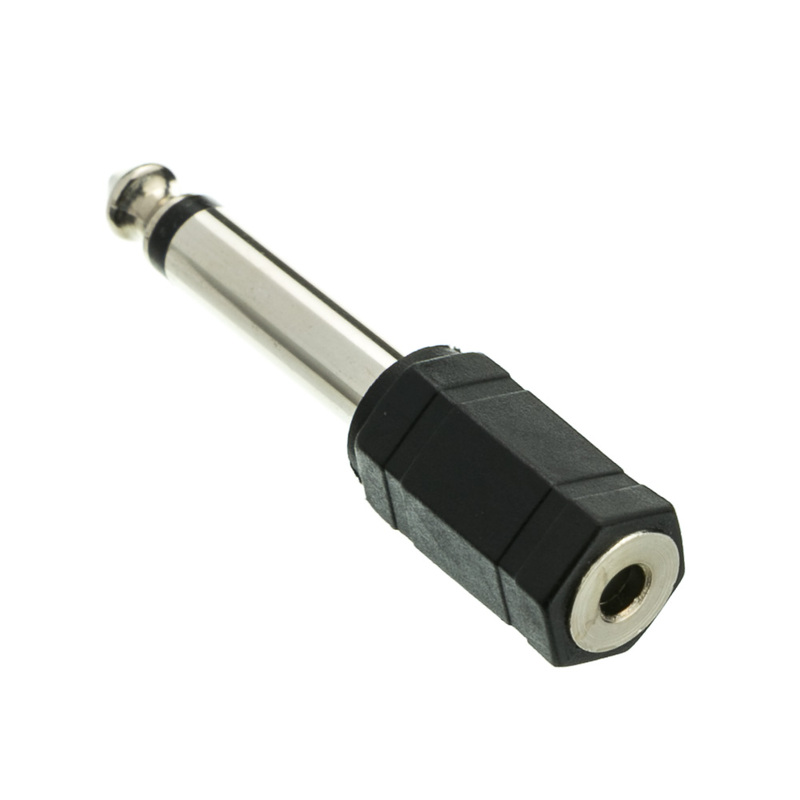 This adapter will convert a 1/4" mono into a 3.5mm headphone-style mono female connection. 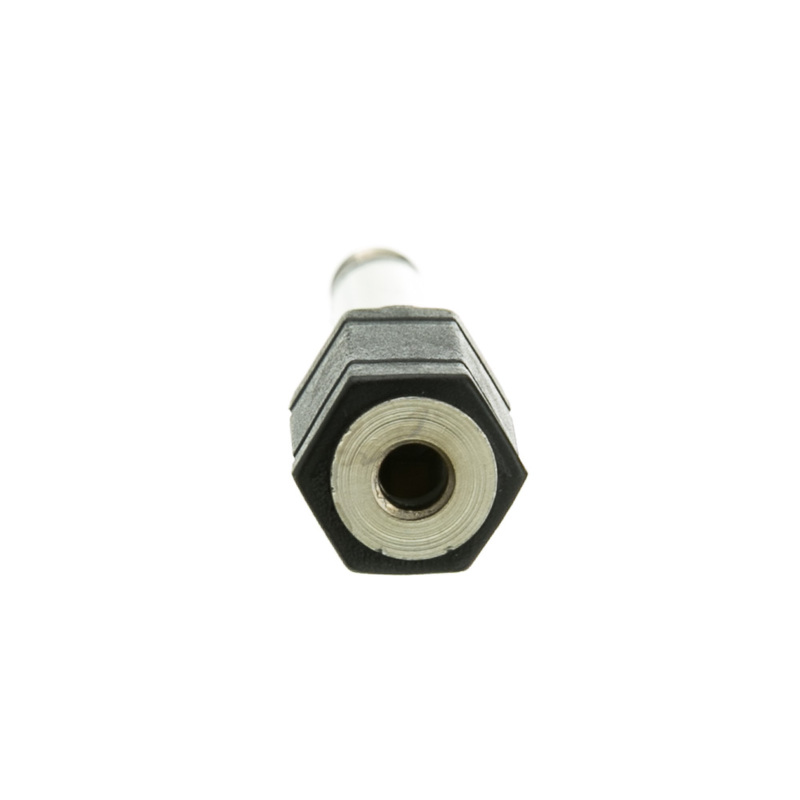 This adapter is nickel plated. The adapters that work are great. Unfortunately, about 25% of the lot are severely defective. 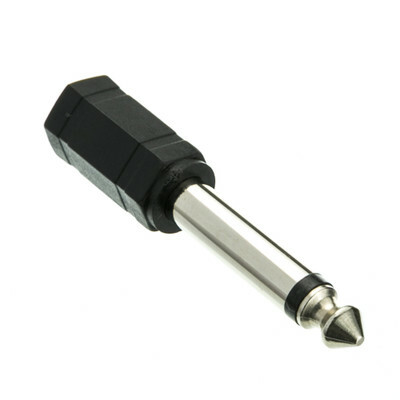 The tip on one of the adapters fell off. CableWholesale Response: We apologize for the defect. A replacement adapter will be shipped to you today.